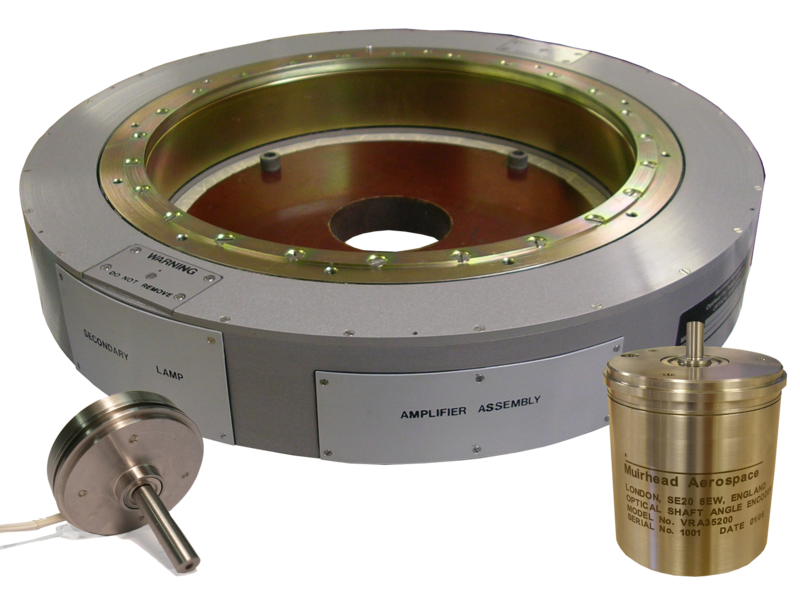 The main advantages of optical encoders over other sensors are, extreme accuracy, signal stability, repeatability, low mass and inertia, ruggedness, wide speed range, digital data direct to control system, versatility with data codes, output types, sizes and the ability to operate from a DC supply. Smallest – 15 mm dia. Largest – 450 mm dia. Finest – 1,048,576 absolute positions per rev. Gunnery, inclinometers (or clinometers), Submarine periscope positioning, cockpit illumination controls, infrared search & track (IRST) optical focussing, thermal imaging, optical motor commutation, missile seeker head positioning, telescopes.